It's time for a summer soup. Make magic with the goodness from the earth, simply with corn and potatoes. 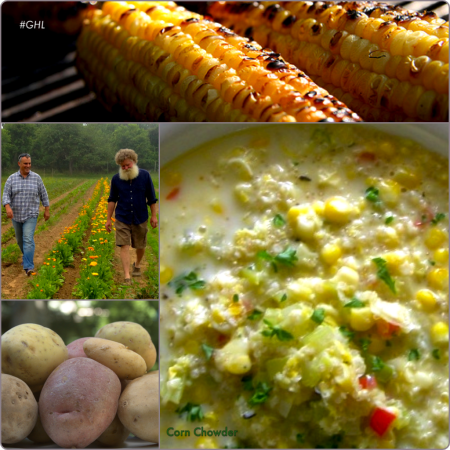 One my most often requested soup recipes especially during summer when the farms are so abundant with fresh candy-like corn, and our famous Long Island East End Yukon Potatoes. It is known that eastern Long Island has some of the best soil for farming in the world. Off the record I have had some farmers tell me - that farmers in other regions are envious over the rich well drained earth here on the East End.